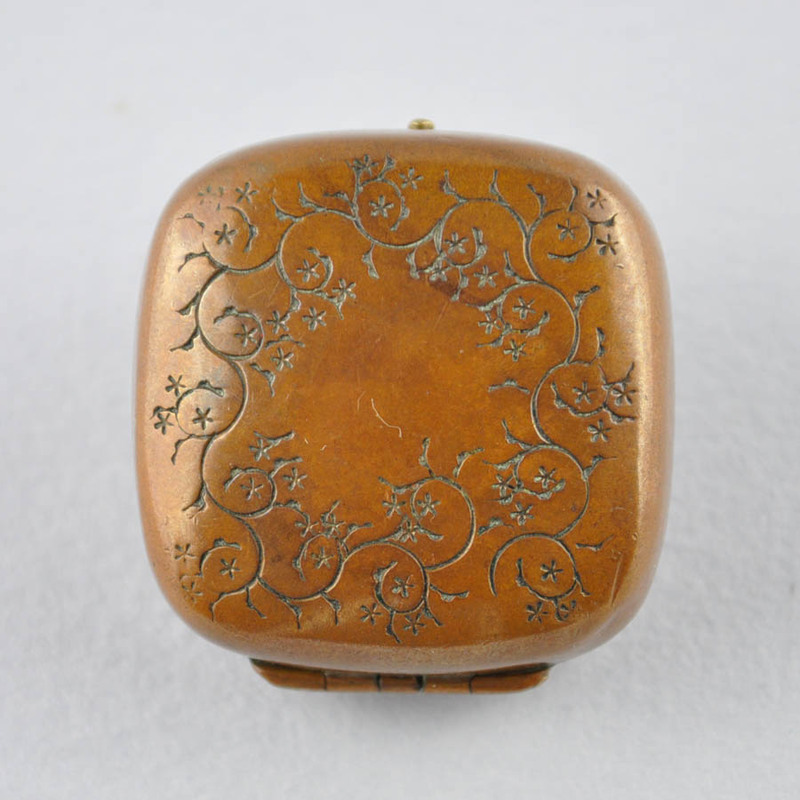 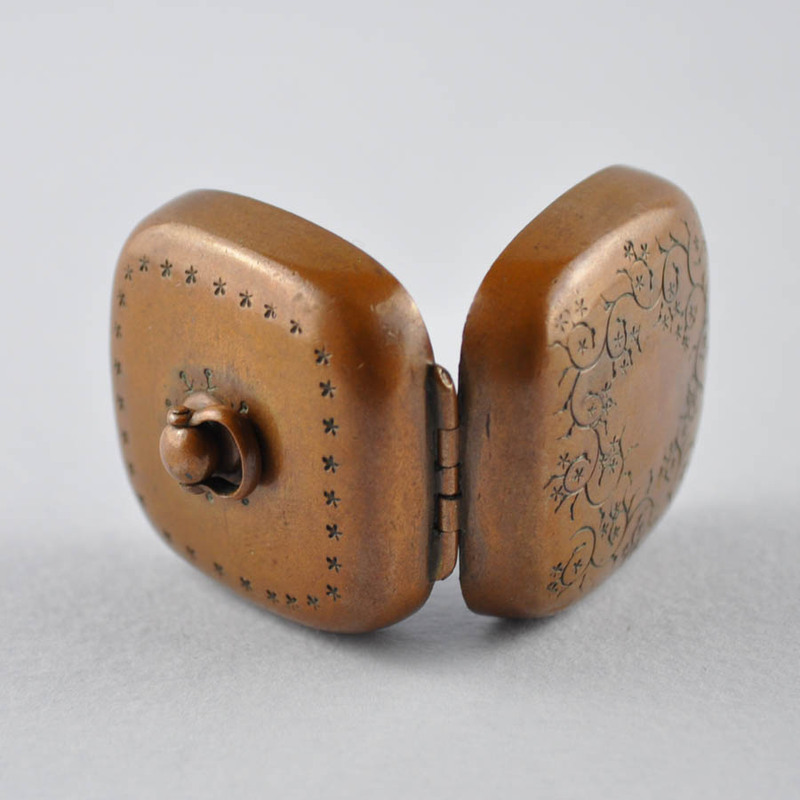 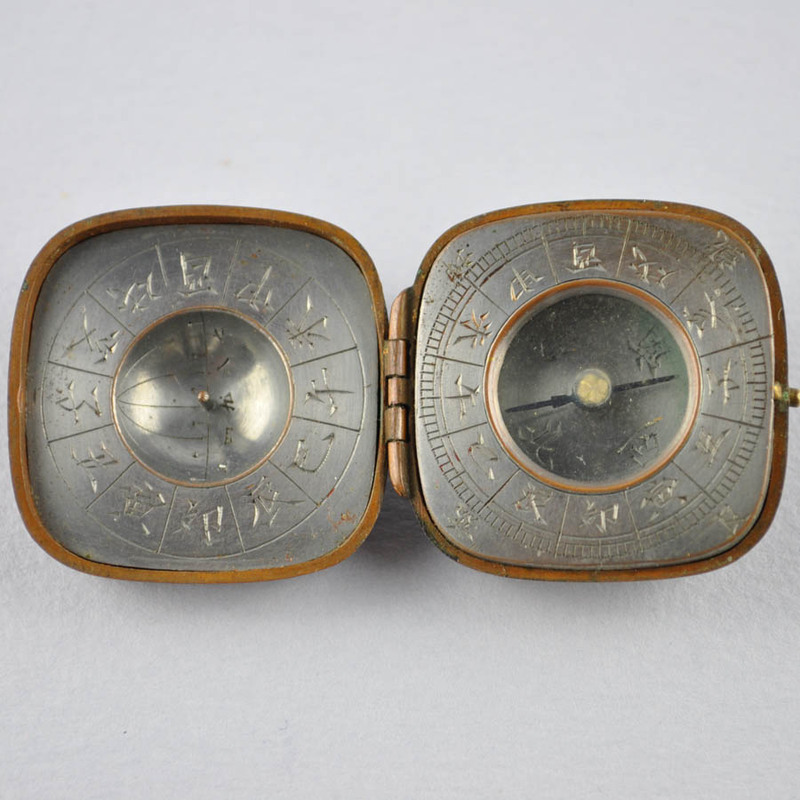 A copper netsuke with spring closure opening in two halves with portable compass (hobari) protected by glass and sundial (hidokei). 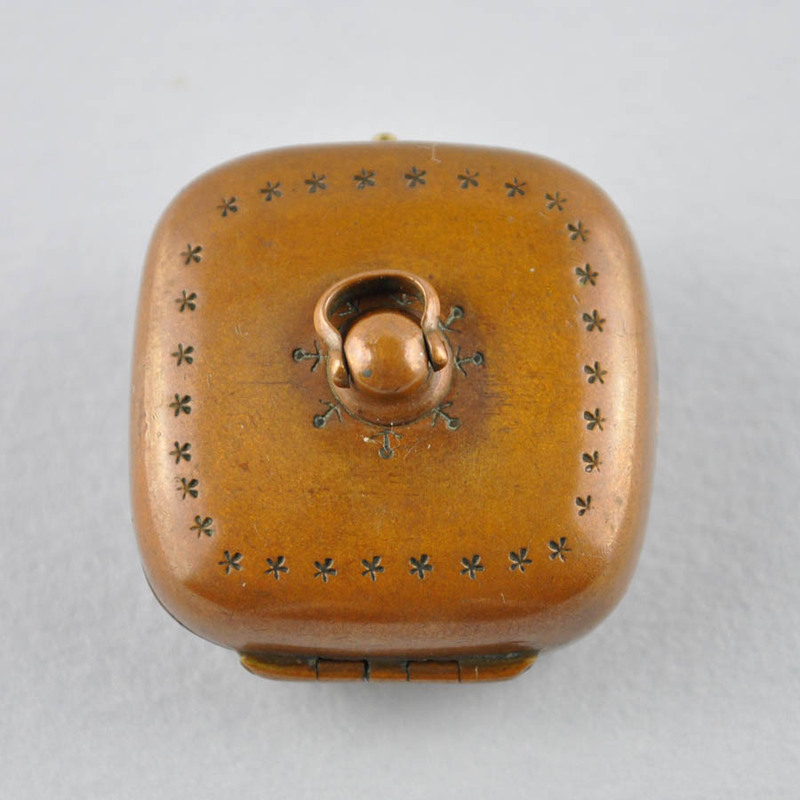 The copper body is engraved with foliage and fitted with a suspension loop on the outside. 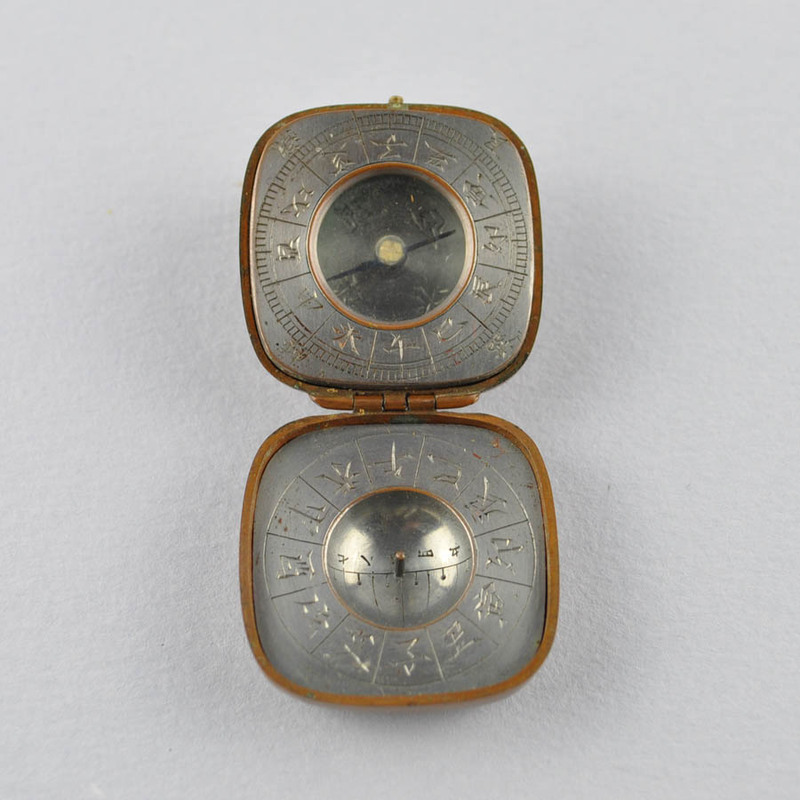 The inside silvered and engraved with the zodiacal characters.